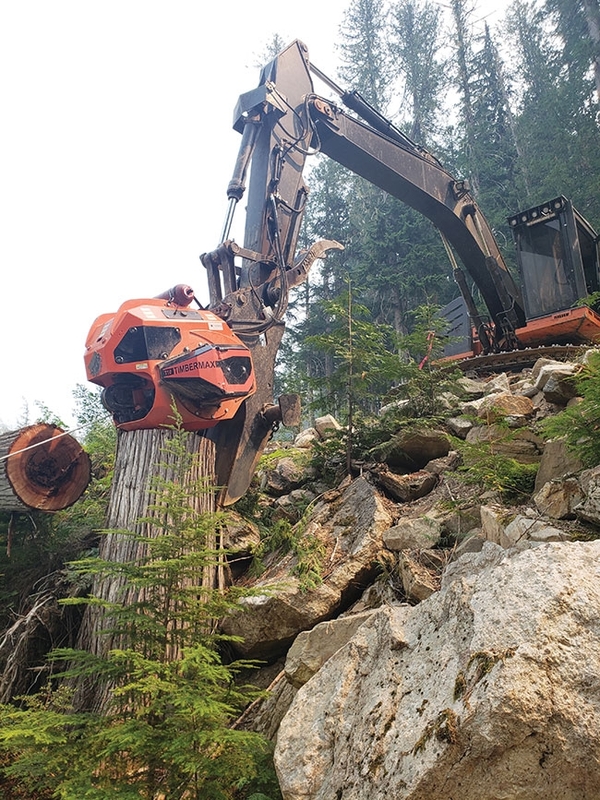 Dec. 5, 2018 – Creole Dufour and his younger brother Easten run their own steep slope logging operation called Essential Evergreen in the Monashee Mountains near Lumby, B.C. Their work includes many high-risk steep and conventional blocks, which is where the new Timbermax Traction-Winch enters the picture. Creole says he and Easten are always being pushed to skid steeper ground, which prompted them to look for a safer way to do that work. Creole and Easten are the Timbermax Traction-Winch’s first customers in B.C. and had been using it for about a month at the time of publishing. Creole says they find it to be user-friendly and simple to run. “There’s some information you need to know, and there’s some safety features that you need to understand, but I think it’s really well thought out and very easy to use,” Creole says. Creole, 39, who started his contracting business in 1996, says he and Easten, 31, were introduced to forestry by their father, who was a horse logger. Creole says he enjoys working in the forest environment where he feels satisfied to see the results of his work each day. “It’s like being little kids playing with toys in our sandbox. You get to use a lot of cool equipment and have a lot of fun doing it,” he says. Creole says he typically runs the skidder or the dozer excavator alongside the Timbermax. He also repairs and maintains all of Essential Evergreen’s machines, while Easten runs the ClimbMAX tethered harvester. 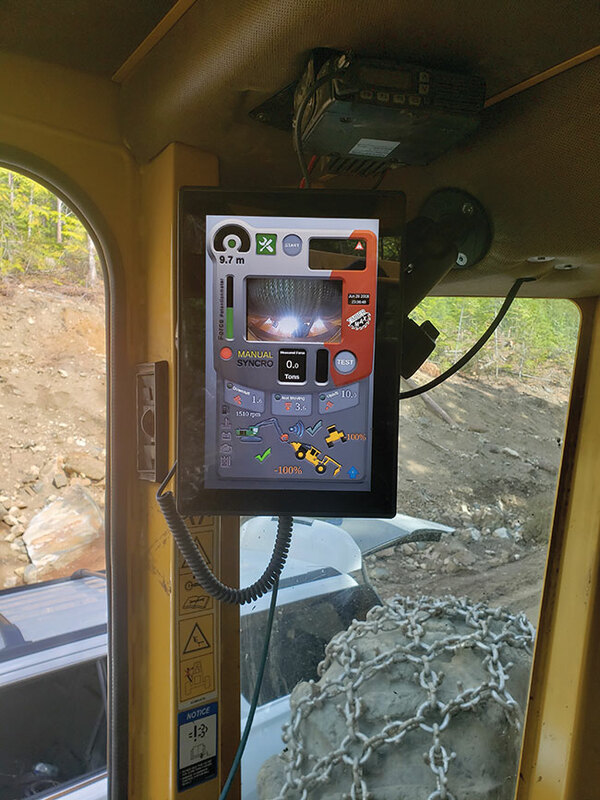 Creole says the Timbermax can be flawlessly controlled from the skidder’s cab by the operator or it can be remotely operated. “We use the remote to feed out or retract line when it’s not connected to a machine,” he says. The brothers use Tigercat skidders and bunchers, and Hyundai log loaders, excavators and processors. Creole says he and Easten initially came across the idea for the Timbermax winch through Mike Niedziejko, who is the owner of heavy equipment dealer Top Down Enterprises Inc. and exclusive dealer of the Timbermax Traction-Winch in Western Canada. The Timbermax Traction-Winch is manufactured in Canada by InovForest Forestry Equipment Inc. Owner Mathieu Lavoie is also the engineer. “We’ve adapted his knowledge and experience into what’s going to fit best with our market here,” Niedziejko says. 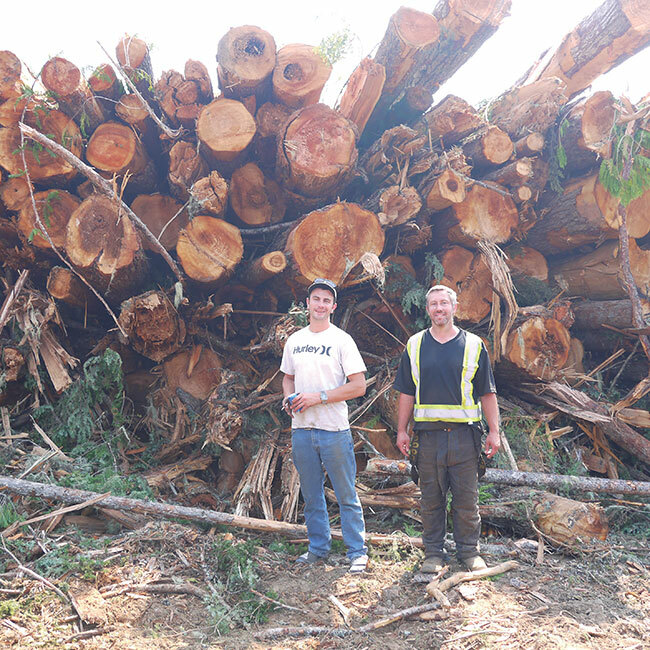 Essential Evergreen is operating B.C.’s first Timbermax Traction-Winch to safely access steeper ground. Niedziejko says his company was looking to provide a product that is very simple to install onto an excavator. The Timbermax Traction-Winch comes in three sizes: the T10, T14 and T20. Creole uses the T10, which comes in at about $245,000 with installations. The T14 and T20 will become available for heavier equipment. Niedziejko says the cost is relative, depending on the install and what the machines receiving the system already have or don’t have. The T10 is up to a 10-tonne constant pull winch, with 450 m of a 16 mm winch cable on it. The basic weight of the winch is about 3,500 kg plus mounting bracket, and that’ll depend on which machine it’s mounted on, Niedziejko explains. 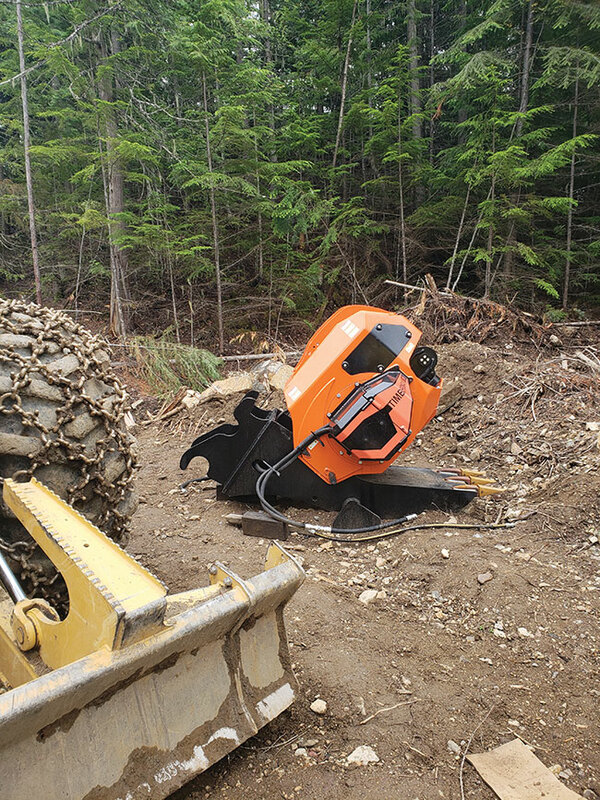 “It allows Creole to use his existing equipment with minor modifications, and allows it to increase his capacity to work on the slope safely,” Niedziejko says when asked how the winch can improve operations for contractors. Niedziejko says three more B.C. contractors are interested in the traction winch following a recent demo, and there’s global interest from Chile, Brazil and the U.K. Overall, he says there’s a good reaction to the machine, which began working in the field in July.